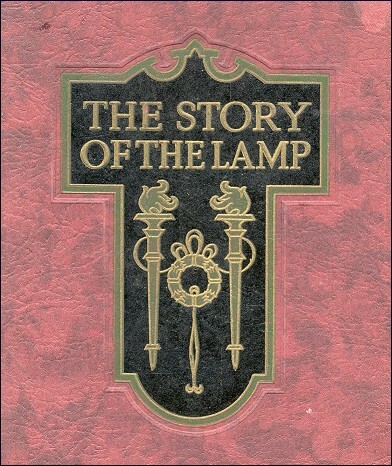 Presented below is the scarce 70 page book titled The Story of the Lamp by the General Electric Co., LTD, London. This work is not dated but I estimate it was published during the 1920s. 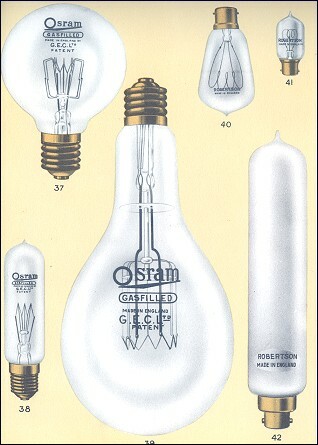 The book describes in detail the manufacturing process used by Osram-G.E.C. 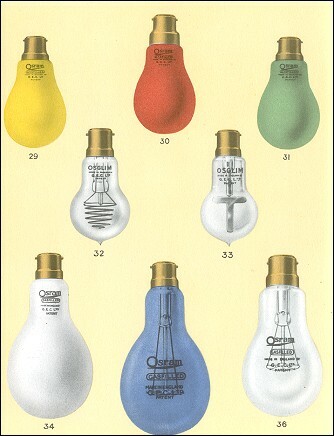 during this period and also addresses many key topics that are of interest to historians and collectors of incandescent lamps. Many pictures appear in this book and most are included here. Captions for pictures are provided as they appear in the book. For pictures missing captions, place your mouse arrow over the picture and a caption will appear. The brain of the ant, said Charles Darwin, is the most wonderful speck of living matter in the world. He marveled at it, far more than he did at the mammoths and other monsters that impress us as the greatest wonders of life. What is the most wonderful invention in the world? It is not necessarily the giant engine or the colossal steamship. It may be something quite small-something that can be held in the hand; something no bigger than an electric lamp. If not quite the most wonderful of all inventions, the electric lamp is surely among the most wonderful. 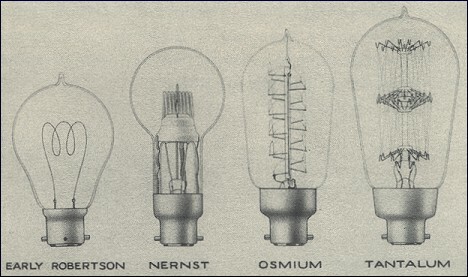 Outwardly so simple-merely a bulb with a wire mounted inside-it virtually contains a whole world of research, of experiment, of mechanical ingenuity, of manufacturing skill, of financial adventure. Ever since it first appeared like a new star in the scientific heavens, it has gone through change after change. Or we may picture it as the spirit of light which, within little more than a human generation, has gone through a bewildering series of reincarnations and has, in the process, laid tribute upon the greatest men of science and upon a countless host of chemists, metallurgists, designers, inventors, engineers, organizers; and industrial workers. The electric lamp of to-day, which we buy for a few shillings, should have its real value measured in many hundreds of thousands of pounds. The First Electric Glow Lamp. Many people alive today will vividly remember the thrill awakened by the first appearance of the electric glow lamp-the whole world felt the thrill. To see a little thread of carbon in a bulb become brilliantly incandescent when electric current passed through it was to taste in its fullness the mystery and the wonder of electricity. This triumph of invention, which had been sought for years by numerous workers, was shared by Great Britain and the United States. Almost simultaneously the late Sir Joseph Swan and America's most popular inventor, T. A. Edison, succeeded in the quest. 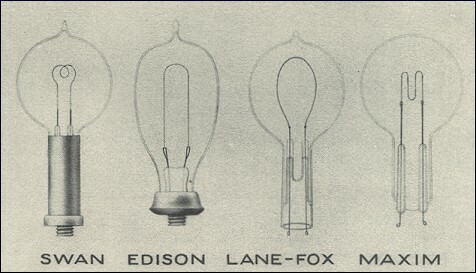 Others-notably Lane-Fox and Hiram Maxim-contributed to the achievement; but it was mainly under the patents of Swan and Edison that the electric lamp industry was first developed. This was the period of monopoly, when other workers in the electric lamp field had either to cease operations or go abroad. Among those who took the latter course was the late Mr. C. J. Robertson, who had been associated with Mr. Lane-Fox. He went to the Continent, where he equipped and managed a number of factories and so gained experience which proved invaluable when, in 1893, the original carbon lamp patents expired. 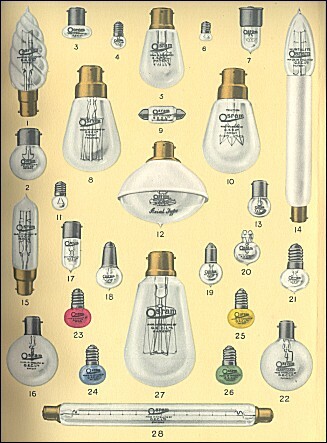 It was now open to anybody to make and sell carbon lamps in Great Britain. This freedom, however, had its dangers. Foreign-made lamps were pouring into this country, and for a time it seemed as if the tide of importation would swamp any new British factories. An unusual degree of courage and determination was needed to plunge into such a struggle, but this was, at a very early date displayed by The General Electric Company Limited. One of the earliest items in their programme of development was the formation of Robertson Electric Lamps , Limited, with the late Mr. J. Fraser and Mr. Hugo Hirst as directors and the late Mr. C. J. Robertson as technical adviser. 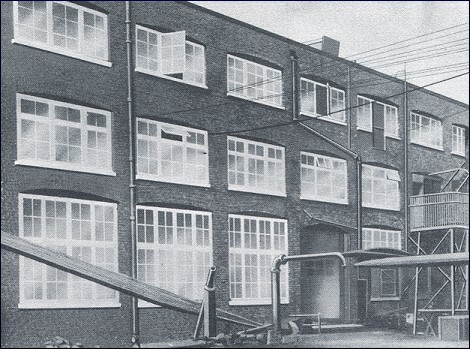 Two years passed before the first factory at Brook Green, Hammersmith, was erected, and the initial difficulties of production overcome. From that date progress has been continuous and has reached a height far more lofty than the founders could have conceived. The original Robertson factory is now lost behind a large pile of buildings, with accommodation for over three thousand workers and with an output of tens of millions of lamps in the year. The making of the Robertson Lamp. It is tempting to dwell on the struggles and triumphs of these early days and to tell in full the story of the carbon lamp. These things, however, have little more than historical interest today. The carbon filament lamp is now a lmost obsolete. Its place has been taken by the tungsten filament lamp, made in every variety of shape and size from the tiny "pea" for a pocket flash-light, up to the 100 ampere lighthouse lamp, rivaling the electric arc in power and brilliance. But something, at least, must be said about the lamp upon which the electric light industry chiefly depended during close on thirty years. Carbon is a wonderful substance. It is familiar to us in the form of soot, lampblack, charcoal, graphite (the "lead" of lead pencils) and diamond. The puzzle which the electric lamp inventor had to solve was to get this protean substance in the form of a fine tough thread. Edison scoured the world of botany to discover a natural fibre which would serve the purpose; and he at last selected bamboo. Swan took the more scientific line of making a carbon filament from the beginning, as it were. His raw material was nothing more recondite than cotton-wool. "From cotton-wool to candle power" was the phrase which once summed up the making of electric lamps. The first step was to dissolve the cotton-wool in chloride of zinc, producing after treatment which need not be detailed here, a soft mass, with the consistency of golden syrup. 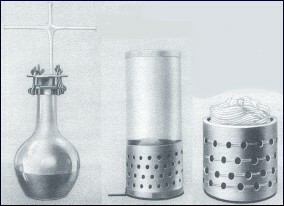 This mass was squirted slowly through a small hole into a jar of alcohol, which converted it into a whitish thread, not unlike fine marcaroni, and after washing and drying, the coils, now fine and tough, were wound on "formers" which gave the filaments the looped curv e familiar in the old carbon lamps. When these formers were placed in a furnace and baked, everything except the carbon was driven off, and the original mass of cottonwool was thus transformed into hard and tough threads of pure carbon. The rest of the process of lamp-making lay in mounting each thread in a glass bulb from which all the air was extracted. Were any air left in the bulb, the carbon filament, raised to a white heat by the electric current, would burn and disappear. Mou nted in a vacuum it would live for several hundred hours of light-giving. We have said that the day seems to be arriving when little more than an historical interest will attach to carbon lamps. Nevertheless, so long as any demand for carbon lamps exists, so long will a section of the works at Hammersmith be reserved for the original processes which once formed the whole art and science of lamp-making. Perhaps the last large need for them is on board battleships, and in other places where lamps are liable to heavy shocks, but now that the tungsten lamp has become so robust the field is narrowing to a few special uses.